There will always be a Granite employee available for support during business hours. Granite's recommendations are based on extensive industry experience and good business judgment. Granite Communications is a group of skilled communications professionals working together as a team dedicated to helping you compete and win in today's competitive business environment. We partner with leading technology innovators to implement business telephone systems which improve customer service, enhance productivity and lower costs. We are your best source for enterprise telephone systems, VoIP telephone systems, hosted or cloud based voice platforms and call management solutions. From our company owned offices in North Haven, CT., we directly service Southern New England, Westchester County and Long Island NY. We also service accounts nationally through several vendor support programs. While many of our competitors carry many product lines and switch products frequently, Granite Communications carefully chooses the industries best technology partners. 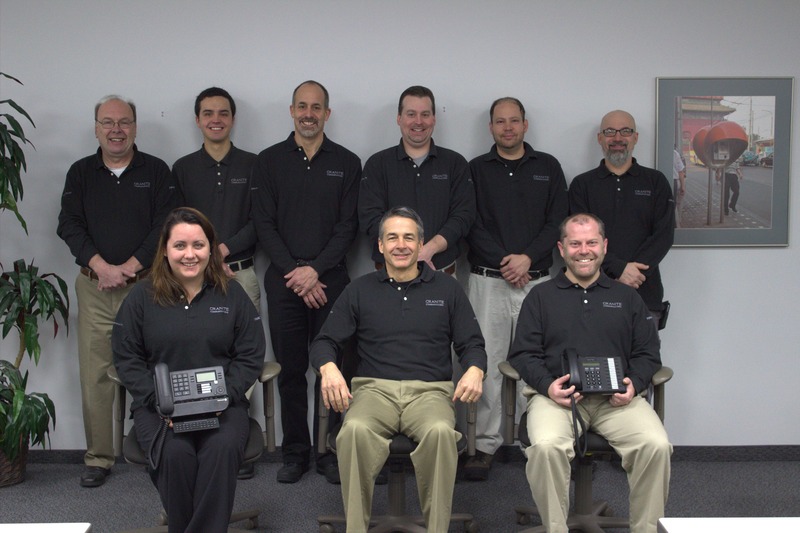 We are experts on the business phone systems we deploy and are able to get more out of your technology investment. Our Customers are our reason for existing, and we have no corporate purpose without their sponsorship. Granite Communications will be a valuable member of the business community. We will make every effort possible to promote the values of a good corporate citizen.